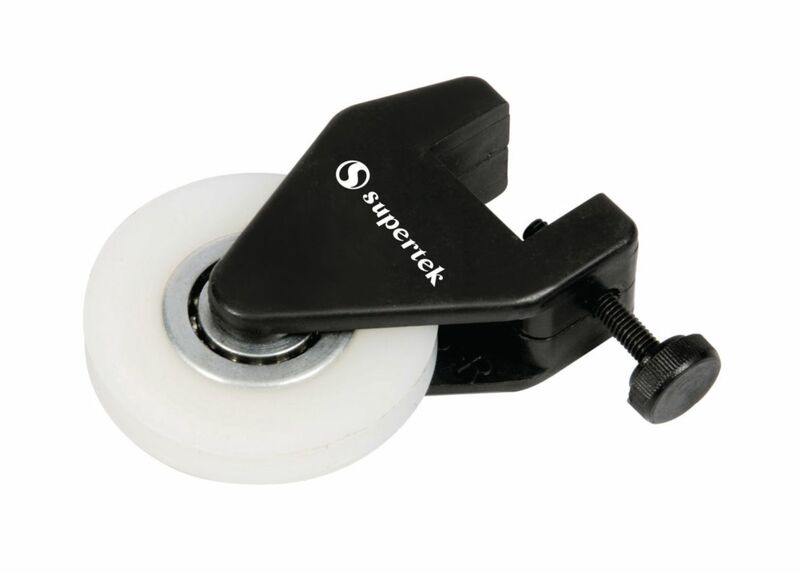 Smooth-running ball-bearing clamp pulley for use with inclined planes, force experiments, or demonstrations of work and machines, this durable, lightweight plastic pulley fastens to surfaces up to 18 mm thick. The sheave measures 45 mm in diameter. Ordering information: Pulley is especially suited for tables.